Shortly thereafter, they met again to plan for the construction of a church building. 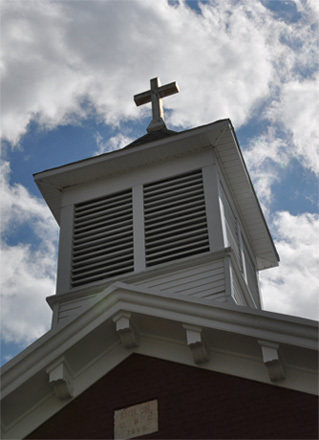 One acre of land was bought from Samuel and Catherine Hoover at a cost of $150.00 The church was built in 1869 and dedicated February 13, 1870 by Bishop Weaver. The total cost of the structure was $2,917.24. The first major improvement to the original building was the addition of a tower with a bell in 1922. In 1939, an addition for educational and social purposes was added. In 1952, a modern kitchen was added and in 1956, another addition comprised of divided classrooms was made. In 1968, a vestibule and new bell tower were added. Because of the merger of two denominations, in November 1946 the church became Evangelical United Brethren. And in 1968, a merger with the Methodist denomination created the current Shiloh United Methodist Church.